Rocket kits suitable for the achievement of the certification High Power Level-3, produced by Madcow Rocketry. They are made either of fiberglass or in traditional kraft cardboard, but always very accurate. 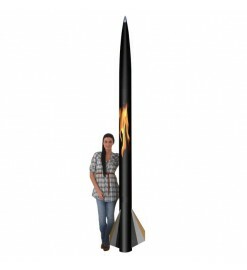 Madcow Rocketry There are 2 products.